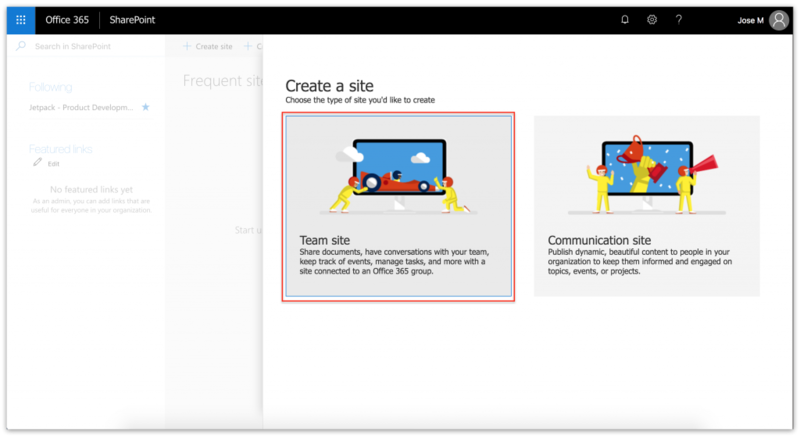 One way to work with (or play around) with a Flow and SharePoint integration, is to create a public team site; and configure the Flow SharePoint service with the site credentials. 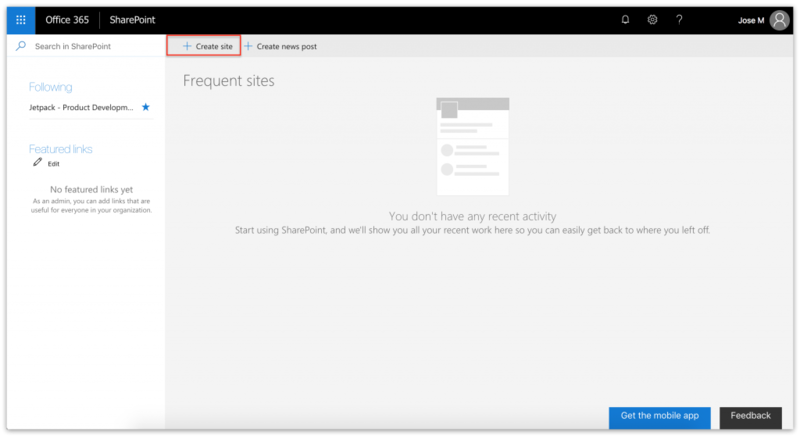 Log in to your SharePoint account. Copy-paste Jet pack – Operational acceptance testing in the Site name field. This populates the Group email address field. 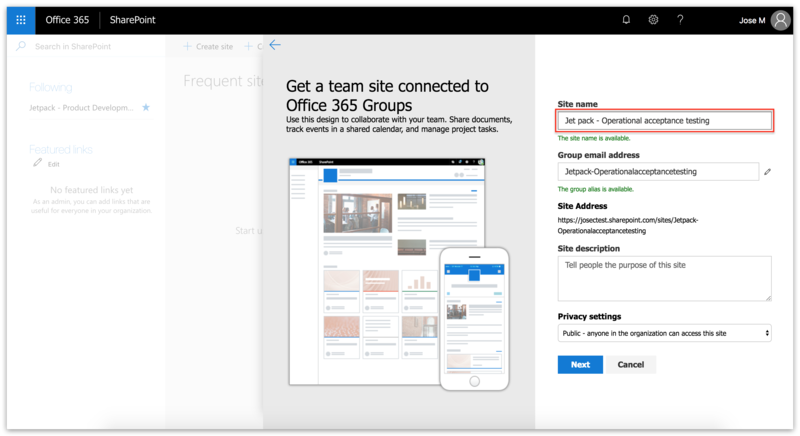 SharePoint also generates the site address for us. Copy-paste Working with Boomi Flow to test jet packs in the Site description field. 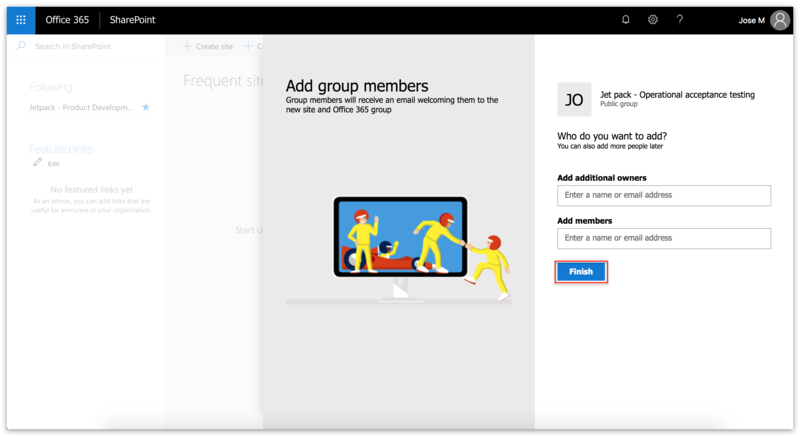 For the purposes of this particular tutorial, let’s set the Privacy settings to Public – anyone in the organization can access this site. If we like, we can add additional owners/members to the group at this point. Click Finish. Alright! We now have a Jetpack – Operational acceptance testing group in SharePoint.